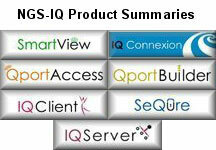 IQ Server™ is an IBM i-based (iSeries, AS/400), advanced-function query, reporting, and BI solution that serves as the foundation of the NGS-IQ™ product line. IQ Server works directly with your DB2 data on IBM i and can also reach out to MySQL, SQL Server, Oracle, PostgreSQL, and DB2 on other platforms, so you can use it as the hub for all your query, reporting and BI needs. IQ Server offers hundreds of features, but for many customers, the single, most valuable advantage of IQ Server over IBM Query/400 and nearly all competing BI software is IQ Server’s ability to produce professional reports, Web pages, spreadsheets, presentations, and analytical models in one step, using only one query to obtain the results users need. One-pass report writing means increased productivity and better system performance because your users get accurate information quickly without wasting system resources running multiple queries. Many customers discover NGS-IQ after using IBM Query/400. To ease migration, NGS offers IQ Server users a Query/400 API they can use to run and enhance Query/400 queries in IQ Server without rewriting or converting them. 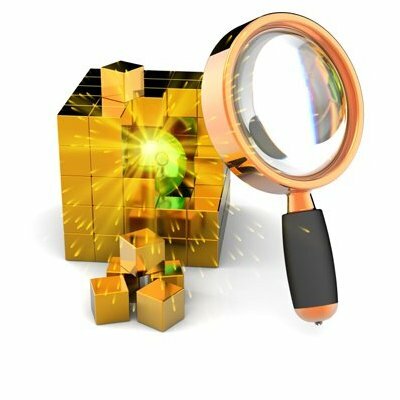 This Query/400 API enables you to leverage your company’s past development efforts and the database knowledge embedded in your existing queries. IQ Server can raise your productivity and dramatically cut your reporting backlog while satisfying a wide range of users. NGS-IQ, and IQ Server are trademarks of New Generation Software, Inc. All other trademarks are the property of their respective owners.